Start the weekend with a $100 bonus! 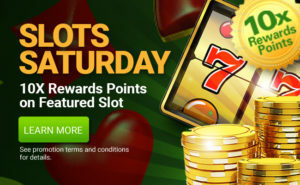 On Saturday, November 24th, get a 50% match on deposit up to $100 bonus using code FLASH50. For example: A player depositing $200 using deposit code FLASH50 will receive a $100 Casino Bonus. Maximum casino bonus match is $100 bonus. The promotion is valid on November 24th, 2018. All CanPlayCasino.com players who deposit up to $200 with deposit code FLASH50 will receive a 50% match bonus. 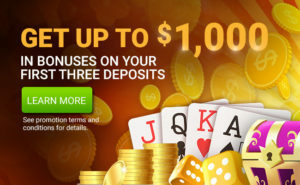 Deposits over $200 will be matched with a $100 casino bonus. The deposit and casino bonus both carry a 30X play through requirement and expires 15 days from issuance. CanPlayCasino.com is a free service, sign-up opportunities exist via CanPlayCasino.com. 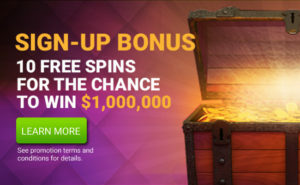 Employees of CanPlayCasino.com and their respective subsidiaries, affiliates, agents and promotion companies and advertising agencies involved in this promotion are not eligible to participate. CanPlayCasino.com reserves the right to change or cancel this promotion in its entirety at any time. CanPlayCasino.com also withholds the right, at its discretion, to exclude any individual or individuals from participation. All General CanPlayCasino.com Terms & Conditions Apply.